Google is reportedly working on a larger and better Google Home. 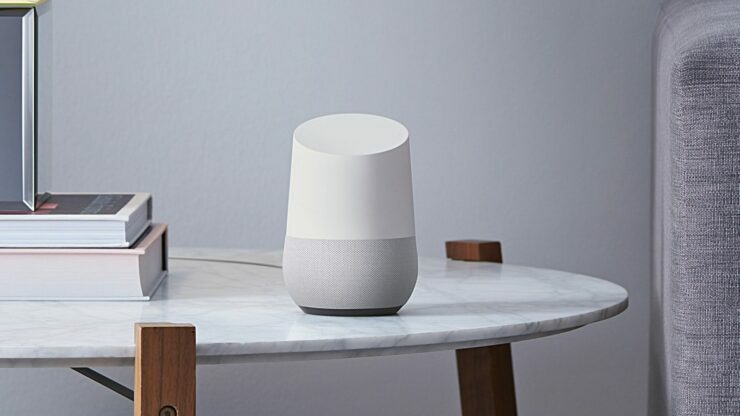 According to a report by 9to5Google, the tech giant is developing a higher-end Google Home that will be priced higher than the existing model. The new version of Google Home will house stereo speakers and can be named as Google Home “Max”. For now, there is no information regarding its design and features, but stereo speaker setup on it means that it could most likely come with dual mid-range drivers and a single tweeter. Regarding the outlook, it will be a premium model with better design and materials. The unnamed sources have also revealed that Google Home “Max” is a more like a project name so it should not be taken as the final product name. The sources also state that the device in question also appeared in a focus group organised by Google. As per recent leaks, Google is working on a lineup of new products including a smaller Google Home, a high-end Chrome OS laptop, smart headphones with Google Assistant and some other products. There is no word about the expected launch of the new Home, which means that Google may end up unveiling at its October 4th event. So, we now have at least four product launches to look forward to the event, including new Google Home, Pixel 2 and Pixel 2 XL, “Pixelbook” Chrome OS laptop, smart headphones, and others. Looking at it strategically, it will be a smart move for Google to launch the new Google Home at the October 4th event as Apple is expected to launch HomePod in December. However, at this point, we can’t really predict Google’s plans. Nevertheless, Google looks more than interested in extending Google Assistant’s reach via new products. Now that Apple HomePod is also going to penetrate the market in December, it is only legit for Google to enhance Home’s hardware to make it rival the HomePod. What’s your take on this story? Do you think a higher-end Google Home will give the much-needed push to the smart speaker market? Share your thoughts with us in the comments section below.